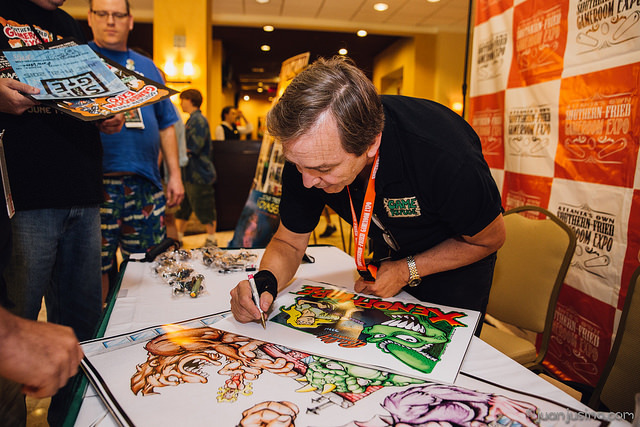 Brian Colin, Designer of ‘Rampage’, signing autographs at our 2015 show. Southern-Fried Gaming Expo 2019 is quickly approaching! Continuing the tradition of fantastic special guests, we are working hard to bring you the best speakers to the show. Please check back as we continue to announce new guests right up to show time. We are still in the planning stages and in negotiations with several potential special guests. Once they are confirmed, special guest speakers will be listed below. If you wish to be considered as a guest for this year’s show, please contact us to let us know. Check out guest lists from 2014, 2015, 2016, 2017, and 2018 to see the caliber of speakers you can expect from SFGE. 2019 guests will be announced soon.